The principal Portuguese taxes are Corporate Income Tax and Personal Income Tax. There are, in addition, certain indirect taxes levied on transactions entered into by individuals and businesses alike, such as value-added tax (VAT), real estate transfer tax and stamp duty. The assessment and collection of direct taxes is administered by the Portuguese Tax Administration. All taxpayers subject to Portuguese tax are required to declare their own tax liabilities and make returns to the Tax Authorities on a timely basis. Personal income tax is charged on the different categories of income earned by individuals and unincorporated businesses in the tax year to 31 December. In general Portuguese resident individuals are assessed on their worldwide income, whereas non-residents are assessed on Portuguese sources of income, subject to the terms of double taxation treaties. The tax is levied at progressive rates, varying according to bands of income. Income tax is assessed on total income, after allowing for any relevant tax deductions and tax credits. Certain categories of income are subject to withholding taxes and in some cases the withholding tax may be treated as the final tax due. Further information on income tax rates is summarised in Appendix I to this guide. Residents taxpayers are required to lodge returns annually. Whenever the employer provides fringe benefits to their employees, the employee could be subject to tax at final rates of personal income tax and are not subject to withholding tax. 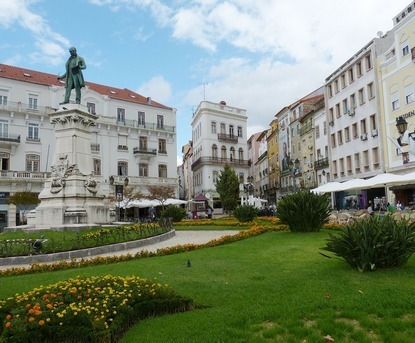 OLEKOS – sale of residential and commercial property in Portugal.